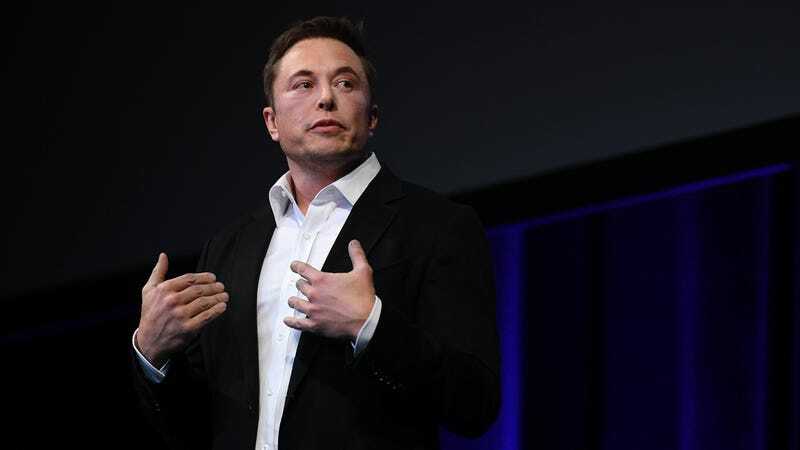 Aspiring comedian and Matthew Dellavedova doppelganger Elon Musk admitted Friday that “Humans are underrated” and Tesla, a company that has made its reputation in part by hyping up the promise of automation, has become too reliant on it. To be clear, Musk is not talking about the self-driving technology in his company’s cars—a feature that has come under scrutiny following a number of scary mishaps, including one that may have resulted in a fatal crash in California last month. So far, those automated processes have produced some pretty unimpressive results. The company announced earlier this month that it had once again missed its production goals for its Model 3, and orders of the mass-market sedan have been pushed back six to nine months. Musk’s admission that his complex networks of automated systems just wasn’t doing the trick marks a major shift in the Tesla CEO’s line of thinking. He’s previously talked up the promise of automation in his factories, suggesting it would be the solution to the company’s long-standing production issues. At the time, Musk said the factory would be at “alien dreadnought 0.5" while working on production for the Model 3. “And then it will take us another year or so, I don’t know, summer 2018, to actually get to alien dreadnought version one,” he said. Now Musk is saying all of that automation is part of the problem, not the solution for Tesla. With a potential $56 billion compensation package awaiting him, he’ll turn to humans to get the assembly line running smoothly again—a production line that has been described as a living hell for those who have been on it. Musk has made a habit of overpromising. He claimed issues with the Model X were the result of “putting too much technology all at once into a product.” He started selling a “Full Self Driving” feature for an additional $8,000 well before he was ready to deliver on it. His “alien dreadnought” production line is becoming more reliant on non-unionized, human workers. Maybe don’t trust Elon Musk.